Lawmakers advanced an omnibus retirement bill to final reading May 10 after amending out proposed changes to the state’s school employee retirement plans. 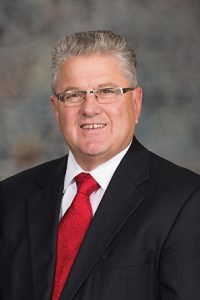 Seward Sen. Mark Kolterman, chairperson of the Nebraska Retirement Systems Committee, said he introduced LB415 in an attempt to eliminate or reduce the practice of teachers returning to work after initial retirement. As amended by the Nebraska Retirement Systems Committee on general file, the bill would have eliminated exemptions that allow intermittent voluntary or substitute service during the 180-day separation of service after termination. It also would have required a three-year break in service if a school employee received an early retirement incentive. Several senators raised concerns that these provisions would compound the state’s substitute teacher shortage, especially in rural areas. Kolterman offered an amendment on select file that removed the provisions, which he said would leave current law intact regarding separation of service for school employees. He said he would conduct an interim study on the issue and continue to work with stakeholders. The amendment was adopted on a 41-0 vote. A provision that creates a new “Rule of 85” with a minimum retirement age of 60 for new school employees was retained in the bill. The change would apply only to employees hired on or after July 1, 2018. Under the rule, an employee could retire at age 60 if their age plus their years of creditable service equal 85 or higher. LB532, which would make changes regarding military service in the judges and state patrol plans. Also included are provisions of LB219, introduced by the Nebraska Retirement Systems Committee, which would change provisions related to authorized benefit elections and actuarial assumptions. Following adoption of a technical amendment offered by Kolterman, the bill advanced to final reading by voice vote.